Saint George Hotel is a brand new four-star hotel situated on a plot of land that stretches along the beach of New Golden beach of Paros. 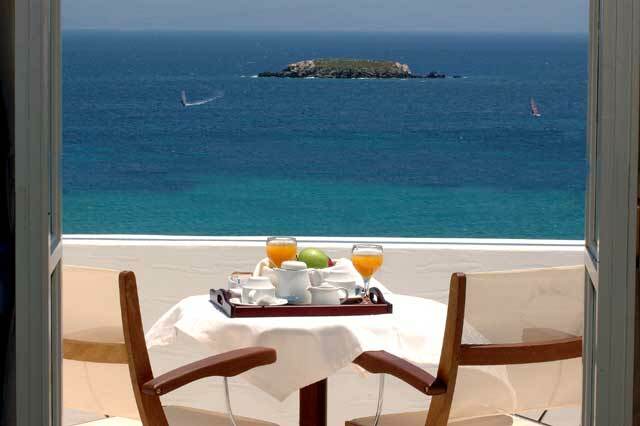 Saint George Hotel Paros, combines the unique architecture of Cyclades along with a discrete luxury. 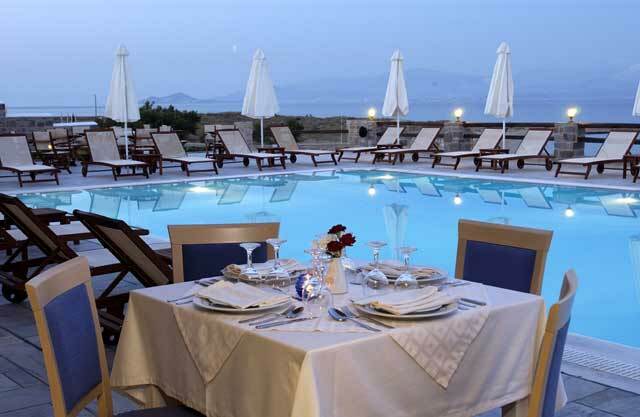 It is 14 kms away from the airport of Paros, 15 kms from the port of Paros, Paroikia, and 9 kms from the town of Naousa, which is famous for its restaurants, nightlife, beautiful walks and traditional market. 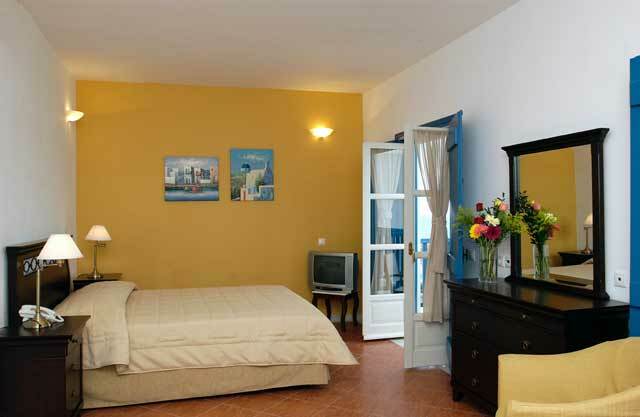 The hotel disposes of 31 twin/double Bedrooms, 20 family rooms and 3 suites. 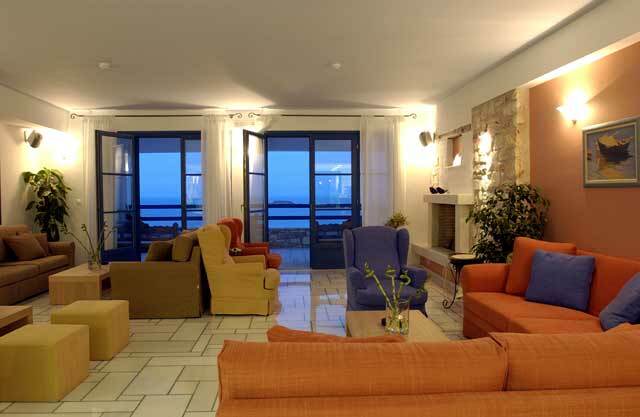 All rooms enjoying room service, air conditioning, satellite TV, mini bar, direct dial phone, Wi–Fi Internet access, hair dryer, marble bathroom, and a balcony overlooking the sea. 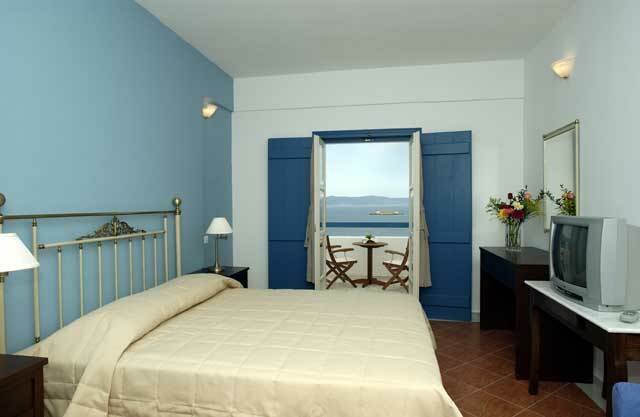 The hotel is furnished with traditional furniture in harmony with the surrounding environment and atmosphere of the island. There is a child?s playground and meeting facilities. The hotel is organizing transfers with it?s own mini bus. At the restaurant of the hotel American buffet breakfast is served from 07.30 to 10.30. You may dine with a choice of buffet or a la carte from 19.30 to 22.00. The hotel?s pool is open from 8.00 in the morning. 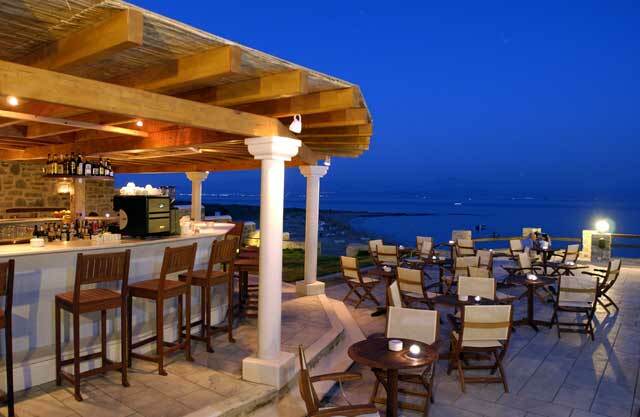 At the pool bar-restaurant spirituous and non-spirituous beverages, snacks and a big variety of local dishes are served from 11.00 till late at night. 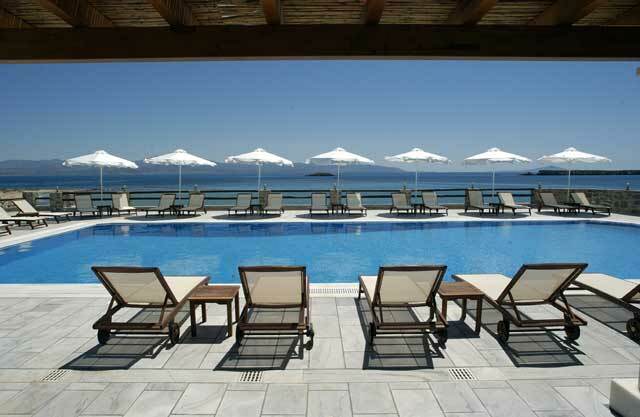 The beach is open from 10.00 till 18.00.Umbrellas and sun beds are available,free of charge. There is a 24 hours reception service where you will find information and assistance regarding schedules for means of transportation – busses, ships, etc., excursions, rent a car, rent a bike, laundry service and baby sitting services. Amongst the hotel?s facilities you can find souvenirs shop, fitness gym, windsurfing school and hairdressing saloon on appointment. Saint George?s chapel, which is always at the disposal of the guests, is the landmark of the hotel?s surroundings.